We rushed to the parking lot she had pulled the car into and met her and the other participant in the accident. We little expectation, the experience was as good as an accident conversation could go. All parties were okay. 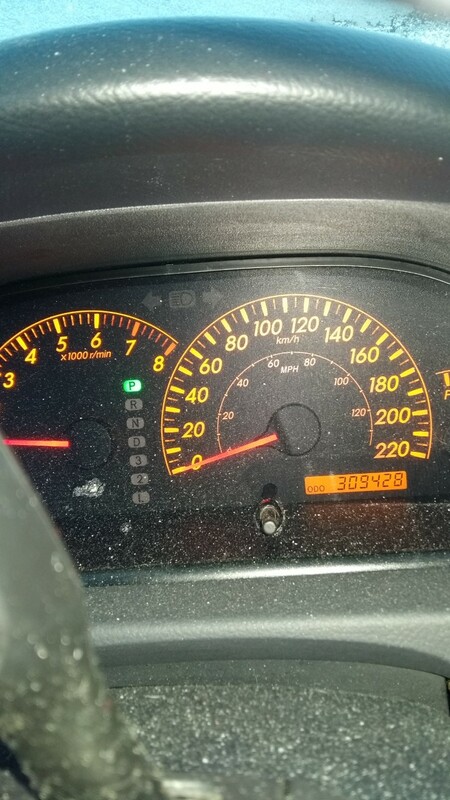 We observed the damage to our 2005 Toyota Camry with 308,000 kilometers and it was significant at the front end. We then looked at the damage to the 2019 Cadillac she had hit and it was almost unnoticeable. Information was exchanged and both victims left the scene of the crime. Samantha and her mother left in the “good car” and I attempted to drive the wreck home. Well the car drove perfectly, though I did fear the front hood, which was bent and cracked would fly open during the short drive home, but it did not. For those who have had the “accident” experience, I will not bore you with the details of administrative tasks one must perform to make a claim. I would rather bore you with what I did to try and salvage the unsalvageable. Against my better judgment and the advice of anyone who looked at the badly damaged front end, I continued to drive this wreck. A few trips on the highway to teach at Sheridan College in Mississauga and Brampton proved my severe lack of car knowledge was a benefit. Now on the highway I drove in the slow lane under 110 KMs per hour, because as the front hood rattled, I decided that if the hood flew open while I drove, I could always veer over to the shoulder and not kill anyone. One motivation for this was the car had a full tank of gas after the accident, and what a waste of money it would be to not drive this car with the price of gas these days. Finally I went to the collision facility recommended by my insurance company. The math was simple. The cost to fix this car was gong to be more than the car is worth. The experts there declared the car undriveable, so I thanked them and drove the undriveable car home. Spell check keeps reminding me undriveable is not a word, yet that is the exact word the collision people used, and I am not going to argue with the experts. Eventually the powers of the insurance world convinced me that driving a car defined as unfit to drive was irresponsible. In my closing argument, I did my best Perry Mason impression, to plead my case. The lady on the phone asked me “Who Perry Mason was?” I knew right then, I was going lose this case. This Toyota Camry has been a reliable friend. Years ago the family booked a trip to Houston to visit a good friend and their family.. The day of that flight, was the day some terrorist was found with a bomb in their sock. Well our flight got cancelled because of security issues. The children suggested we drive to Houston. We packed up the Camry and with four licensed drivers, five people drove to Texas. This Camry has taken the family to cottages, famous waterfalls, New York City (after another cancelled flight), Montreal and many other beautiful locations. I am not a car guy, a very sexist statement, but I am certainly not a car girl, so I will leave this for the gender police to critique. I have many friends who are car people. I have vague recollections of friends tinkering with cars in the their young years. Changing oil on their own, sliding under their cars, fixing things that I could not understand. While using things they called tools, to improve the performance of their first cars, I watched them incredulously, while constantly asking the same question “What’s that?” Over the years, the mechanic bills I paid were substantially higher versus their annual maintenance fees, which was always zero. I admired the knowledge and skill these car people regularly demonstrated, though not enough to actually learn what an engine was. I am familiar with words like, transmission, alternator, pistons, spark plugs, batteries, fuel pumps and shocks. What is not shocking is when I say familiar, I mean I can spell most these words though I struggle with their definitions. I confess what I do not know, is what they do to ensure a vehicle’s yellow engine light remains off. I can add windshield wiper fluid into the tub to ensure relative visibility during a snowstorm, but I have often poured that same liquid into a tub clearly labeled “transmission fluid” which adds to my yearly car mechanic bill. 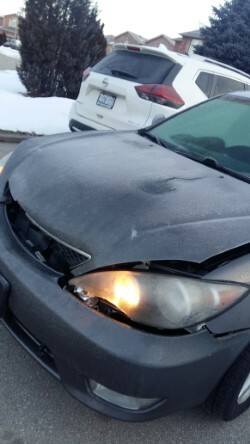 On rare occasions, I have opened the hood of my car, staring at the engine, hoping some obvious malfunction was so apparent, that a bright flashing light glowing and shouting “fix me”, would clearly indicate the problem. But that has never happened. The relationship with my used 2005 Toyota Camry has ended. This twelve-year relationship lasted longer than my first marriage, and financially was a better deal. However I was surprised at my reaction when the tow truck backed into my driveway to take my old friend away. Your front and back seats have experienced many of life’s important moments. Children dressed up for their graduations sat in your back seat. You were there when I tried teaching parallel parking to the young unlicensed offspring. You took me to weddings and funerals. You drove me to work every day, tolerating my road rage without judging me. My mother and father sat in your seats, and though they no longer do that, the many conversations we had still echoed around your dirty leather interior when I thought about them in a traffic jam. My preset radio stations, that only played songs from the twentieth century, were good company during my many lonely highway trips. Queen sang, “I’m in Love with My Car”, but the truth is our relationship was more functional than romantic. Queen did sing “You’re My Best Friend”, and you have been a pretty good friend to me. But now you are old, and damaged and I must say good-bye. Our commitment to each other never vowed “In sickness and in health, or for better or for worse”, and frankly I couldn’t afford the support payments. I will not attend your funeral, as I attend far too many of those lately. I did sign your organ donation card, so hopefully some stranger will enjoy your new muffler. At my age, making new friends is not something I am very good at. I will tell my new car about you and hope it understands that it will not replace you. (New friends can get so jealous) Sayonara Toyota, it has been fun. Dennis, Epic car love story! You’ve fused the best elements of Queen’s “I’m in love with my car” and Bohemian Rhapsody “I don’t wanna die” for a new millennium. Somewhere Freddie Mercury and Roger Taylor are smiling. Fantastic, cleverly written story, Dennis. I so enjoyed it. I know the emotions that parting with an old car can bring! Thanks Fay, I appreciate the comment. It was and interesting reaction to an old car.